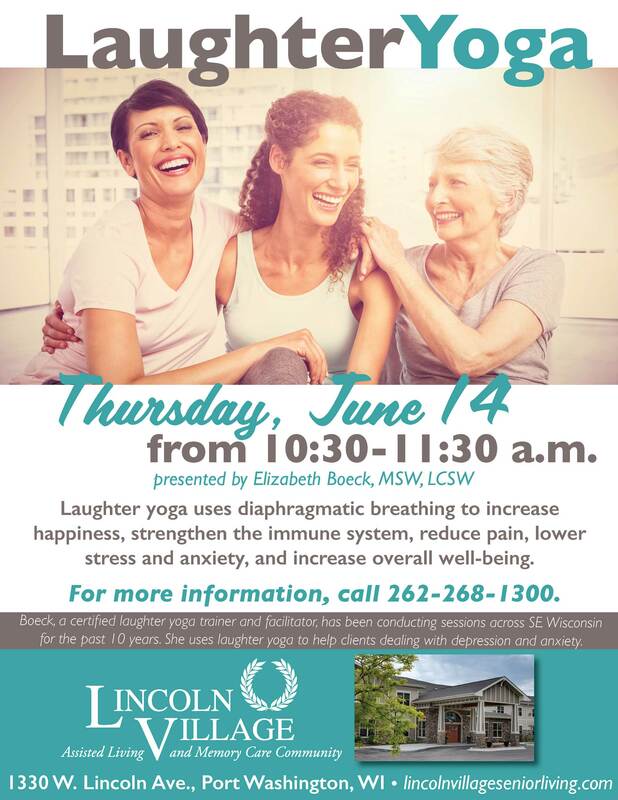 Join us on Thursday, June 14, for laughter yoga, presented by Elizabeth Boeck, a certified laughter yoga trainer and facilitator. Laughter yoga uses diaphragmatic breathing to increase happiness, strengthen the immune system, reduce pain, lower stress and anxiety, and increase overall well-being. Celebrate Older Americans Month with Lincoln Village Senior Living. 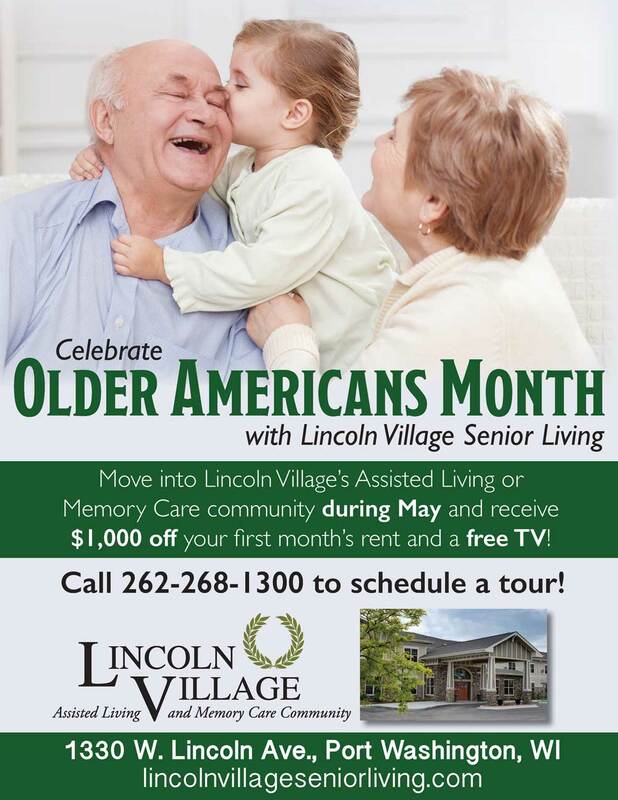 Move into Lincoln Village’s Assisted Living or Memory Care community during May and receive $1,000 off your first monty’s rent and a free TV! Call 262-268-1300 to schedule your tour.